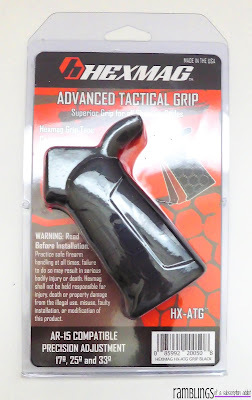 Hexmag Advanced Tactical Grip ($28.00) - This is a vertical forward grip for an AR-15, perfect for someone that wants a little bit more control of their rifle. It's so easy to install and comes in both black and FDE, to match most rifles. This has already been installed on one of husband's rifles, and he's quite pleased with it. 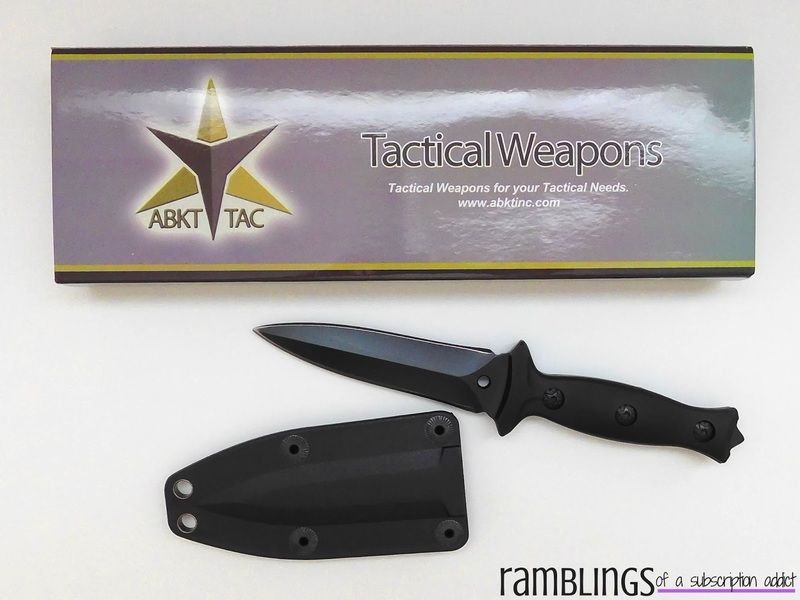 ABKT Tactical Weapons Boot Knife ($20.00) - While this is a really cool knife, I could never use it. It takes quite a bit of force to pull it from the sheath, but that's definitely by design. It's very sharp, so it could be used for a multitude of situations. 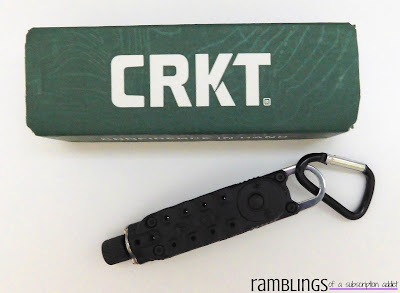 CRKT Getaway Driver ($22.00) - It's a flashlight, a bottle opener, a screwdriver (with flat head and Phillips head bits), it's basically one of the most useful product I've seen in a while. The handy carabiner makes it easy to attach to your keys, but just as easy to remove when you need to use it. It's made from high quality materials, so it's going to stick around for a while. 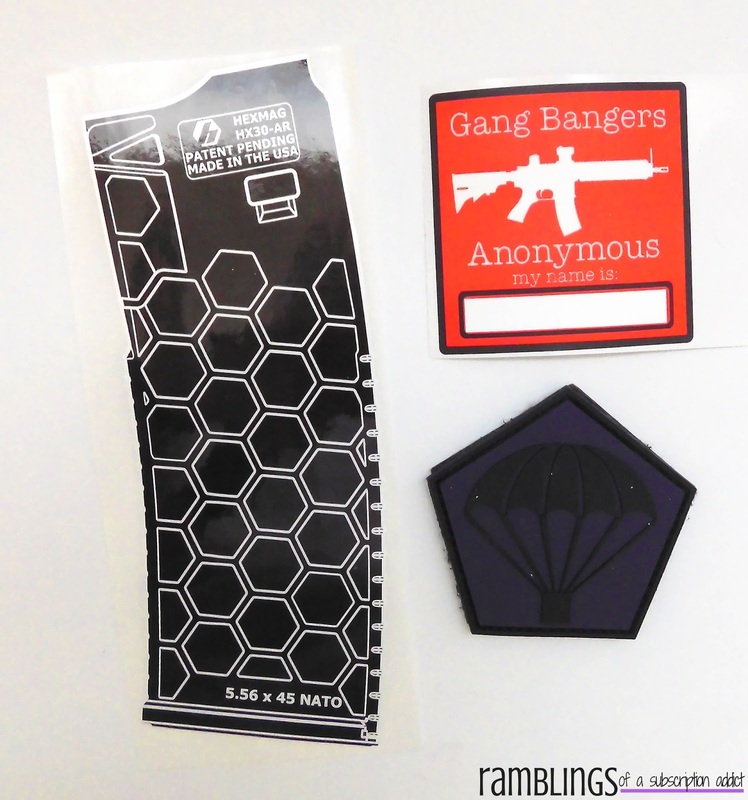 Hexmag Sticker, GBA Sticker, and TacPack LE Patch - Nifty little extras, and the patch is the perfect addition to your go-bag. The GBA sticker was sent as a freebie because it didn't turn out the way they wanted it to, which means there will be a new one soon! Live Fire Emergency Fire Starter ($7.00) - This is a waterproof fire starter, so you can use it even if it's gotten wet. It is supposed to burn for hours and comes in a very compact container for maximum storage space. 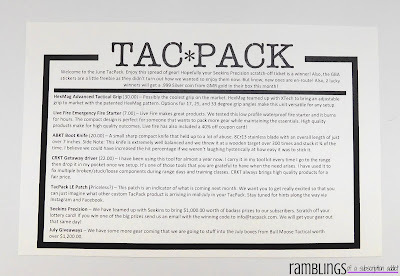 The June TacPack was valued at $77, which is more than the cost of the box! It had a nice spread of items and husband was very pleased with this box. 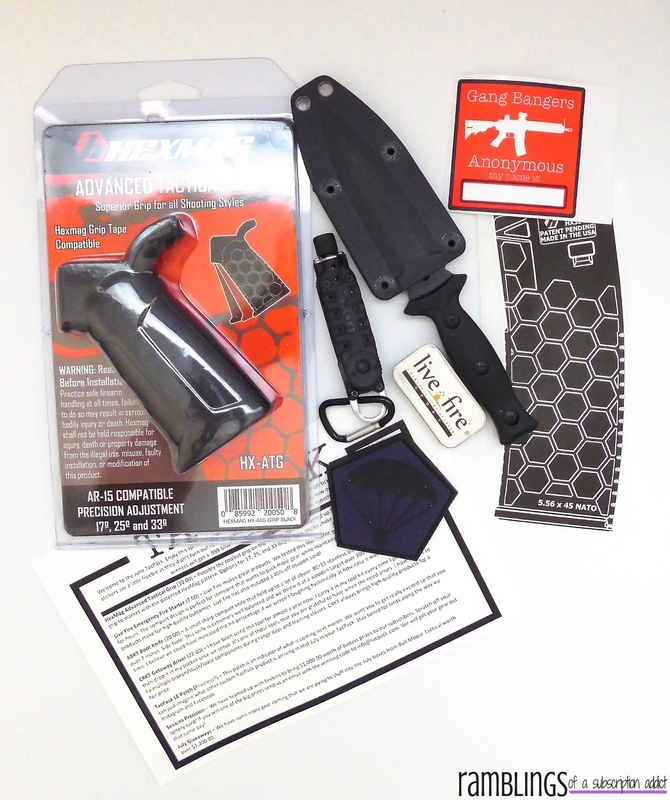 The June box also included a scratch-off for Seekins Precision where everyone won some sort of prize. 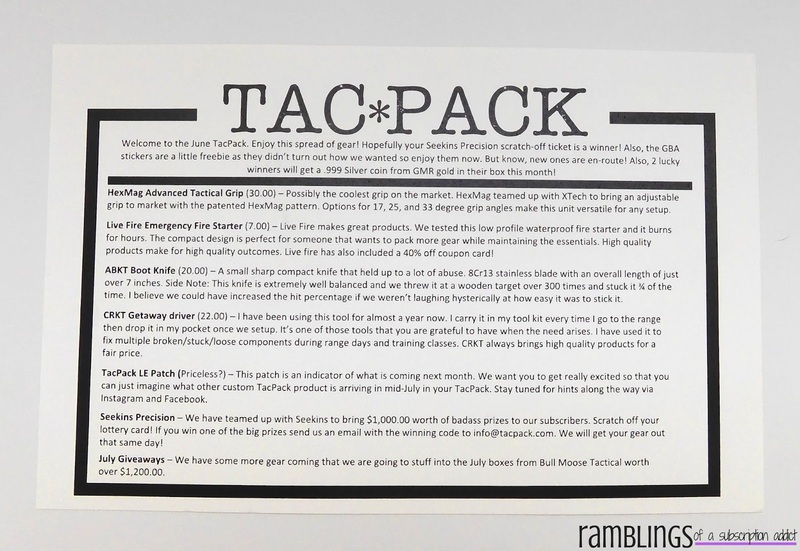 What was your favorite item in the box? Let me know in the comments!